With a three-day weekend kicking off 2016, those with DIY projects on their New Year’s resolution list had a great opportunity to get things rolling. Perhaps you’ve opted to ease your way in and are still in the planning stages. If so, a trip to your preferred home improvement store may be on your list. Depending on the scope of your project, the list of materials could be quite lengthy. And weighty. Ensuring your vehicle can get everything you need safely to its destination is something not all DIYers consider when they take on new projects. If you are not already familiar with the gross vehicle weight rating (GVWR) of your vehicle, you will need to know this. Check your owner’s manual, or it can many times be found on the inside panel of the driver’s side door. Remember that the GVWR accounts for the TOTAL weight, including the vehicle and everything it’s carrying or pulling. Roof racks are handy for hauling all kinds of things. But before loading yours up with a pallet of 2x4s, remember the maximum weight capacity for most load bars is 150 pounds. While we’re on the subject of weight, payload is an important subject if you are planning to load the bulk of your supplies inside a vehicle. Overloading a truck or SUV can really do a number on your suspension. Make sure you understand the maximum payload capacity of your vehicle before you load it down with roofing supplies. Another point to keep in mind is how you will safely secure the load, while protecting your own vehicle from damage, as you transport supplies. Old blankets, load tarps, bungee cords and load straps are all helpful items to have on hand. If you own a trailer (or rent one), that can be a great way to transport home improvement supplies. But it’s important to take into consideration the weight of the trailer and anything inside the vehicle prior to putting additional weight on the trailer. Then double-check to ensure it’s properly hitched and that brake lights and turn signals are working before heading out to the store. 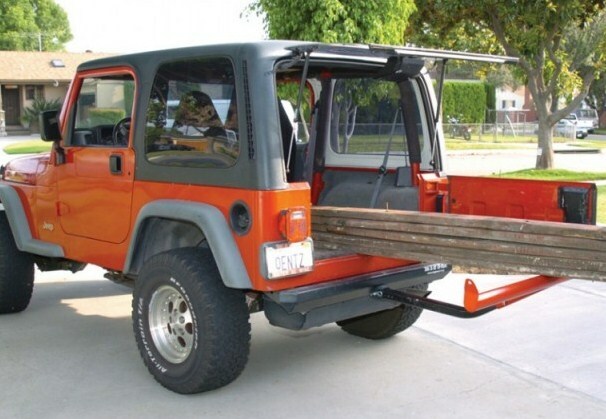 Finally, carrying a load on top or towing a trailer will change how your vehicle handles. Whether adjusting for a higher center of gravity, an increased braking distance or both, safety is key. Taking the extra five minutes to ensure your purchase is safe and secure can make all the difference. And just think, when you get everything home, you can get started on that project you’ve been itching to knock out!